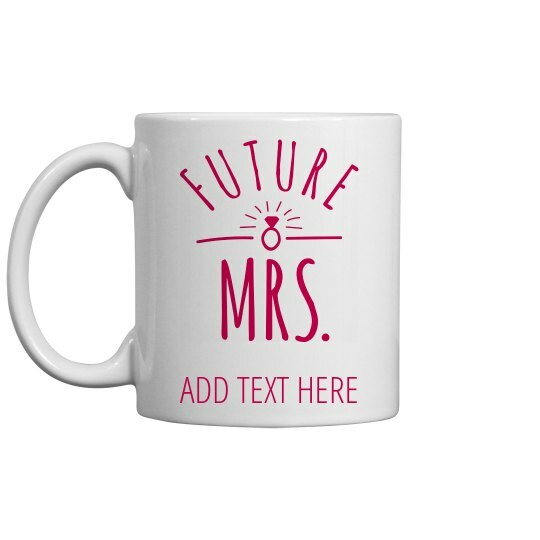 Customize a cute coffee mug for the bride to be. Add some personalized text of your choice to send a sweet message! Great gift for the bridal shower or bachelorette party.